El próximo 1 de septiembre comenzará el curso online Introduction to International Criminal Law en la plataforma Coursera, a cargo del Profesor Michael Scharf, de Case Western Reserve University School of Law. El curso se dictará en inglés, es de carácter gratuito y hace parte de la iniciativa Coursera.org, una plataforma de educación virtual nacida en octubre de 2011 y desarrollada por académicos de distintas Universidades del planeta con el fin de brindar oferta de educación masiva a la población mundial. 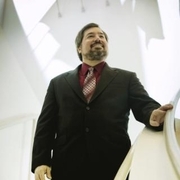 Michael Scharf is the John Deaver Drinko – Baker & Hostetler Professor of Law and Associate Dean for Global Legal Studies at Case Western Reserve University School of Law. Scharf frequently appears in the media and is the author of sixteen books, three of which have won national book of the year awards. During the elder Bush and Clinton Administrations, Scharf served in the Office of the Legal Adviser of the U.S. Department of State, where he held the positions of Attorney-Adviser for Law Enforcement and Intelligence, Attorney-Adviser for United Nations Affairs, and delegate to the United Nations Human Rights Commission. Scharf and the Public International Law and Policy Group, a Non-Governmental Organization he co-founded and directs, were nominated for the Nobel Peace Prize by the Chief Prosecutor of the Special Court for Sierra Leone for their assistance with the prosecution of former Liberian President Charles Taylor. During a recent sabbatical, Scharf served as Special Assistant to the International Prosecutor of the Cambodia Genocide Tribunal. You don’t have to be a lawyer and there are no prerequisites for this course. However, the course will be conducted at the level expected of advanced undergraduate students. Therefore, for all participants, reading and writing comfortably in English at the undergraduate college level is desirable. Previous ¿Por Qué Estudiar una Maestría o Doctorado en Derecho en el Exterior?